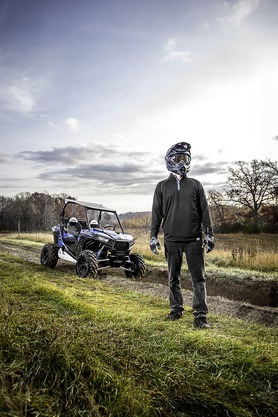 For extensive protection and a great look, install this Deluxe Front Brushguard on your Sportsman XP. This tough, durable Brushguard has a black wrinkle finish and it protects the front end of the ATV from rocks, debris, brush and branches. This Deluxe Front Brushguard has fog light mounting tabs with pre-drilled holes.